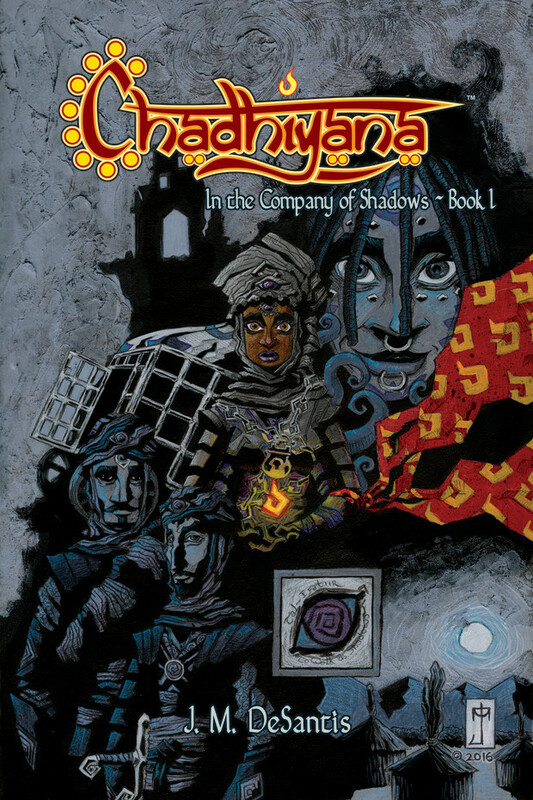 With just nine days remaining in the Rosarium Publishing IndieGoGo campaign (http://bit.ly/rosariumpub), I wanted to take the time today to write something about the Chadhiyana perk that’s being offered. 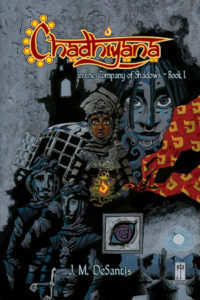 As the campaign lists, with your $20 (Chadhiyana) contribution you will receive the first Chadhiyana collection (issues 1 – 6; already listed on Amazon for pre-order at $19.95: amazon.com/Chadhiyana-Company-Shadows-JM-DeSantis/dp/0996769269/) and a 4-page mini-comic. I’ve finally worked out the story for that mini-comic (which, essentially, you get for free with your pre-order), and convinced my publisher to give me more pages to tell it in. Despite the fact that the campaign lists the comic still as four pages long, it’s actually going to be eight (surprise for those who already contributed!). What’s more, the story is going to tie in to the current arc, In the Company of Shadows. Although I’m not writing any spoilers here, I do want to share the premise of the short comic (especially for those who haven’t decided to contribute to the campaign yet and need a little convincing). The story will take place before the events of In the Company of Shadows. 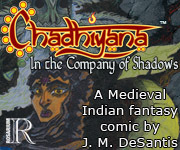 In it, Chadhiyana will be sent on a mission by Ishalaraad to assassinate a defected member of the Tal-Ifatiir. So, in short, Chadhiyana will be hunting one of her own. How it will all play out is of course for those who pre-order the book to find out, and I do want to stress that fact: this comic is an exclusive for this campaign. At no other time will this comic be made available. So, if you love Chadhiyana or just like the character enough to want to see where she’ll eventually go, you’re going to want to pick up this comic. Time is ticking. The campaign ends on May 4th! More than that, I do want to stress the importance of supporting this campaign, in general. If I haven’t written about it before, Chadhiyana’s publisher, Rosarium Publishing, is a unique gem in the world of publishing. They are not only dedicated to supporting authors and artists to tell their stories (the stories closest to their hearts), but they are a true example of diversity in publishing. They live it, and not as some gimmick, but because its creator, Bill Campbell, and all of those involved truly believe art (all of the arts) should be a reflection of the diverse world we live in. 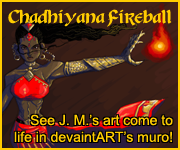 So, even if you don’t contribute to the campaign by getting the Chadhiyana perk (though I hope you do), I do ask that you help support the campaign by making some contribution, even by post about it on social media (and tagging #Chadhiyana and #RosariumPublishing or #rosariumpub). If you see other posts about relating to the campaign, like, share and comment on these. We’re nearing the end of the campaign, and it is so important that it is successful. Thank you all for the support! Cheers.